Size: approx. 40-50 mm. Photo: 07/18/11, 9 am. 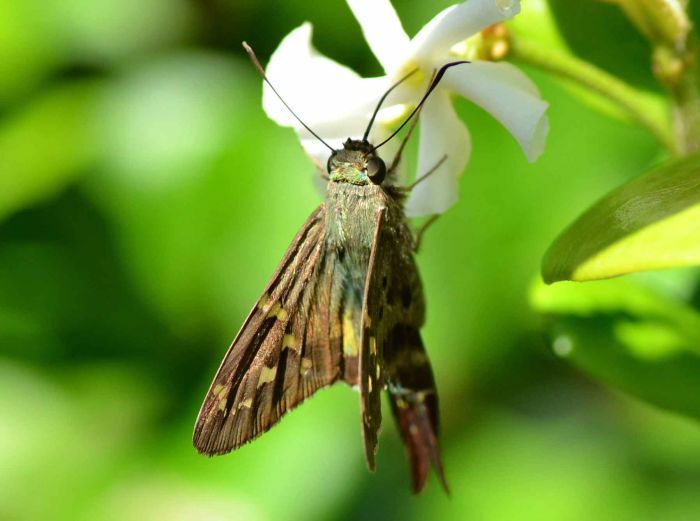 Long-tailed skipper (Urbanus proteus). Characteristic for this genus is the long, split tail. U. proteus is one of twelve species in this genus. U. procne, for instance looks similar but does not show the greenish color on the main body.